I don’t know who said it first — Henry Ford, Zig Ziglar, Peter Drucker, or former IBM chairman Thomas Watson Sr. — but the business wisdom embodied in these six simple words is inescapable: Nothing happens until someone sells something. And before anyone can sell anything, someone has to generate a sales lead. 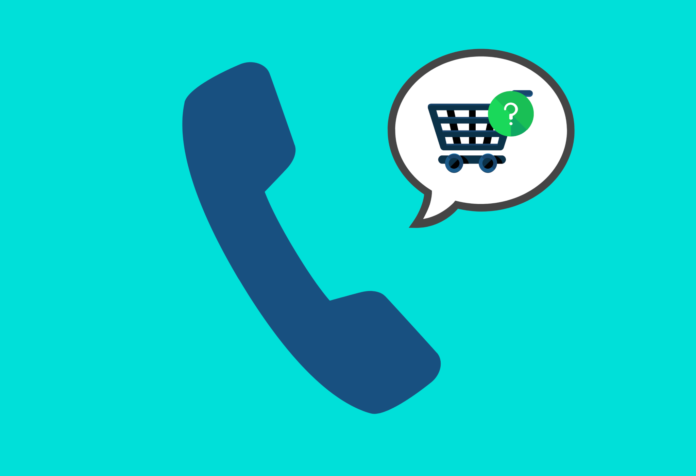 Although technology can help generate leads, most of us are still going to find ourselves picking up the phone to find prospects at some point in our sales career. Doing this typically requires some amount of cold calling. In my work with thousands of sales professionals, I have found that there are two central fears around cold calling that inhibit effective and productive lead generation results. They are: 1) fear of sounding like a sales person; and 2) fear of failure. Let’s deal with the first: Overcoming the fear of sounding like a salesperson is a simple matter of accepting that you actually are a sales professional. What else are you going to sound like? A mechanic? A programmer? Here’s a news flash: Mechanics sound like mechanics. Programmers sound like programmers. And salespeople sound like salespeople. The key to getting comfortable with sounding like a sales professional is understanding that sales is an honorable profession. After all, we salespeople are talented problem solvers. We improve business performances and processes. We help consumers and businesses get the products and services they want and need. We keep our companies in business. Some salespeople provide medicine and equipment needed to save a life. Some provide the technology needed to improve business performance. Some provide the services we need to improve our quality of life at home and at work. So get comfortable with the fact that you’re going to sound like a salesperson because you are a sales professional. When you dial someone’s phone number or walk into their office, remember this: You are there to help them improve their lives and businesses. Be proud of that. Until you understand this simple concept, you’re going to be anxious and fearful about cold calling. You are adding value. And when you make a cold call, it’s important to demonstrate your value upfront. For example, instead of calling a prospect and saying, “Hi, would you be interested in hearing about how my company can help your company?” start with something like this: “Hi, my company just funded a research paper outlining three ways to immediately improve profitability in your industry. I’d be happy to email you a copy if you’d like to share your email address with me?” Knowing that you are providing valuable information to your prospects can go a long way towards removing the fear and anxiety around cold calling. Now let’s look at the fear of failure. Sometimes the fear of cold-calling comes from a limiting belief that we simply won’t be successful at it, which creates anxiety and leads to a destructive self-fulfilling prophecy. There’s even a medical term for this: Atychiphobia is an irrational and persistent fear of failing at something, and it’s been found to cause anxiety, panic, and feelings of powerlessness. We often avoid cold-calling because of this fear of failure. Nevertheless, if you understand the physiological responses to fear in your brain and take a few simple steps to change it, cold-calling can become as routine as having your morning coffee. The key to getting better at cold-calling is to simply get more accustomed to it, so your body does not perceive fear. The more accustomed you are to cold-calling, the more confident you’ll be, which creates a more productive self-fulfilling prophecy. Granted, while confidence doesn’t always lead to success, it is often a prerequisite for it. So how do you become more accustomed to cold calling if you’re afraid of it? Try role playing with coworkers; chances are they’re experiencing the same anxiety. You can also practice with friends or family. You don’t need to be perfect — we’re not looking for an Oscar-worthy performance. The primary reason I recommend ongoing role play is simply to remind the brain that there is nothing to be afraid of. As you practice, you’ll realize that nothing bad is actually going to happen, which will in turn ease your fears. To reduce your anxiety further, you can also try offering something of value rather than asking for something from your prospect. For example, “I am calling today to find the best way to send you a complimentary report on ways to increase productivity in your industry.” Offering something of value is often less stressful than asking for something. Once you’ve role-played long enough that you’re no longer feeling butterflies, you’re ready to try a live-fire situation. Keep in mind that it will clearly be more difficult when it’s for real, but a few real attempts after role playing will settle you down and help get you into a very productive groove. Cold calling is one of the most critical steps in sales and business success. If you want to become a top producer, there is simply no way around it. The key is to take pride in your work as a sales professional, knowing you are solving problems and adding value. Get comfortable with your value and your role, and you’ll be well on your way to consistent sales results. Weldon Long is the author of Consistency Selling and The New York Times bestseller, The Power of Consistency. He trains the sales teams at major Fortune 500 companies, including FedEx, Farmers Insurance Group, and Home Depot.